Changu Narayan is a two-story pagoda-style temple dedicated to Lord Vishnu and surrounded by ancient carvings and statues. 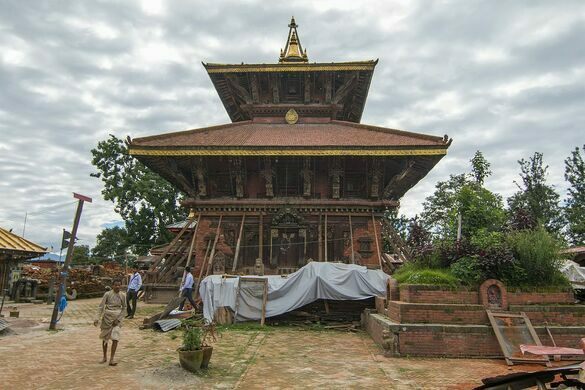 Having survived destruction in 1702 and 2015, it is said to be the oldest Hindu temple still in use in the Kathmandu Valley today. The entire Kathmandu Valley is listed as a UNESCO World Heritage site, encompassing seven groups of monuments and buildings. These include the Durbar Squares of Hanuman Dhoka (Kathmandu), Patan and Bhaktapur; the Buddhist stupas of Swayambhu and Boudhanath; and the Hindu temples of Pashupati and Changu Narayan. 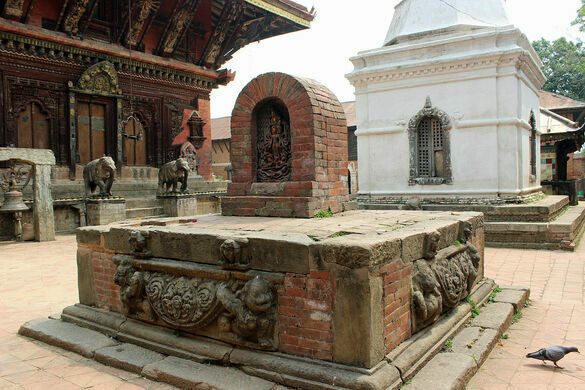 Dating back to the fourth century, Changu Narayan is widely considered to be the oldest Hindu temple in the Kathmandu Valley, and one of the oldest in Nepal. 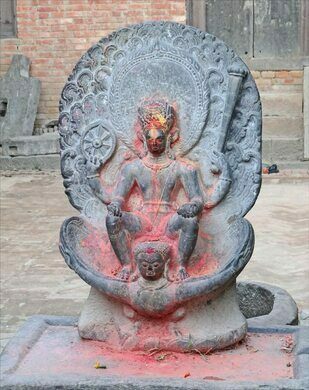 Built on top of a high hill about seven miles directly east of Kathmandu, the temple is dedicated to Vishnu, although shrines to Lord Shiva, Ashta Matrika, Chhinnamasta, Kileshwor, and Krishna are also found within the wider temple complex. 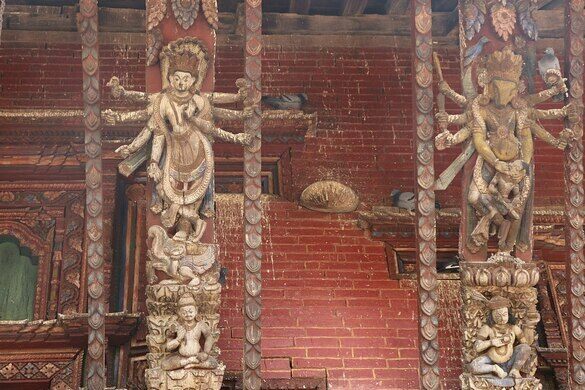 The main temple is decorated with some of the finest carvings in the Kathmandu Valley, and the collection of statues surrounding the temple is the best you’ll see outside the National Museum of Nepal. The diagonal beams that support the temple’s two pagoda roofs are decorated with intricate carvings of the 10 incarnations of Vishnu and various multi-armed Tantric goddesses. The temple’s four entrances, meanwhile, are guarded by stone lions, griffins, elephants, and sarabhas (part-lion, part-bird creatures from Hindu mythology). 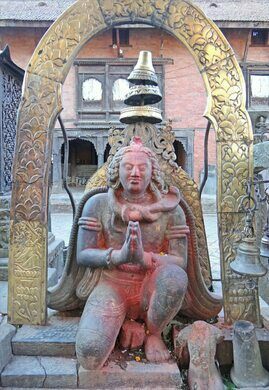 But the gems of the collection are the statues and carvings dotted around the courtyard, the oldest dating back to the Licchavi era (400 to 750). Facing the west door of the temple is a statue of Garuda, the legendary bird that served as Vishnu’s mount, which dates back to the fifth century. And near this statue is the oldest stone inscription in the Kathmandu Valley, a message etched in 464 that tells the tale of how a king convinced his mother not to die by suicide after her husband’s death. Other statues show Vishnu in his various incarnations, or avatars. Vishnu appears as Narsingha, the man-lion, ripping a man apart with his fingers. He also appears as Vikrantha, the six-armed dwarf who transformed into a giant. And in the northwest corner of the complex is an image of Vishnu riding his faithful mount Garuda. The temple complex and its numerous statues have survived a number of threats over the centuries. The most serious was a fire that swept through the compound in 1702, destroying many works. The temple was rebuilt in the following years. 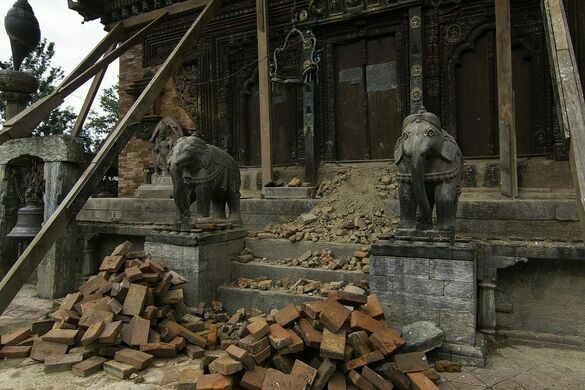 More recently, the Gorkha Earthquake of April 2015 damaged 753 temples, shrines, and monasteries across Nepal, including 241 in Kathmandu. 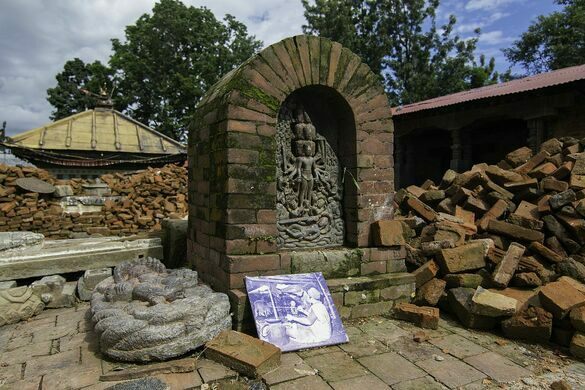 Changu Narayan suffered heavy damage but restoration projects began almost immediately. It was reopened the same year, and the Department of Archeology announced that the restoration project had been completed in November 2017. Visitor numbers declined following the earthquake, and have yet to return to pre-quake levels. Changu Narayan is located about seven miles east of Kathmandu. 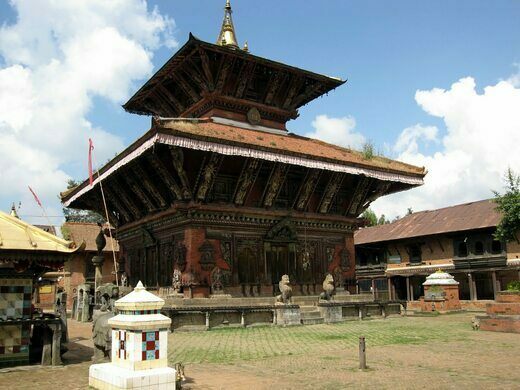 From Kathmandu you can take the bus to Bhaktapur, then take another bus to the temple. There's also a museum located on the way up to the temple. Inside the temple complex you are free to explore most of the grounds, but only priests can enter the main temple. The entrance fee for foreign nationals is 300 Nepalese rupees ($2.60 US). Host to the World Elephant Polo Championships since 1982. An ancient temple to the Hindu god Shiva surrounded by jaw-dropping scenery.